Don’t worry. 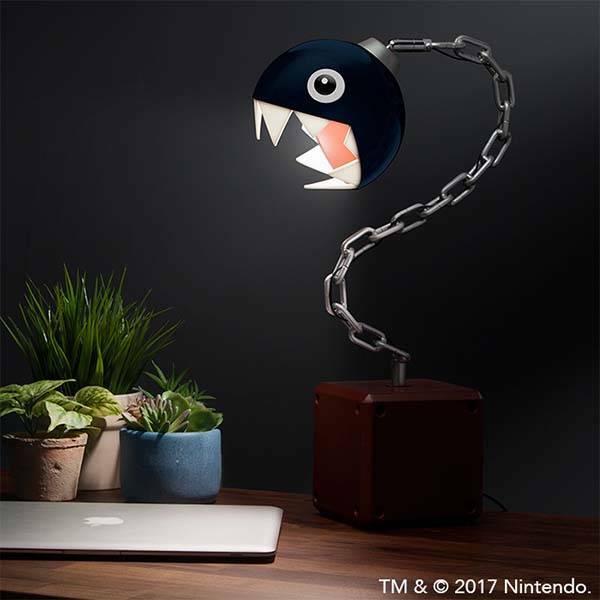 The Chain Chomp LED lamp is interested in Super Mario, so you can use it to safely illuminate on your desk. Like the design? Let’s keep checking. This is an officially licensed and pretty cool LED desk lamp inspired by Super Mario Bros video game series. The lamp measures 10″ deep by 18-3/4″ tall by 6″ wide with 5″ cube base and weighs 6-1/2 lbs. As shown in the images, the LED lamp looks like Chain Chomp, a kind of typical enemies who always want to take a bite of Mario or Luigi in Mushroom Kingdom. The Chain Chomp head shaped lampshade features accurate detailing, and the large, tooth-filled mouth looks like being waiting any delicious food. The Chain Chomp LED lamp comes equipped with a 60-lumen LED bulb that’s rated at a minimum of 30,000 hours. The well-crafted chain connects with the lampshade and a brown base, and the bead swivels and pivots in order to direct the beam just where you need it. Moreover, the base stably keeps the creature standing on your desk. Using inline on/off switch, you can easily control the large-size Chain Chomp. 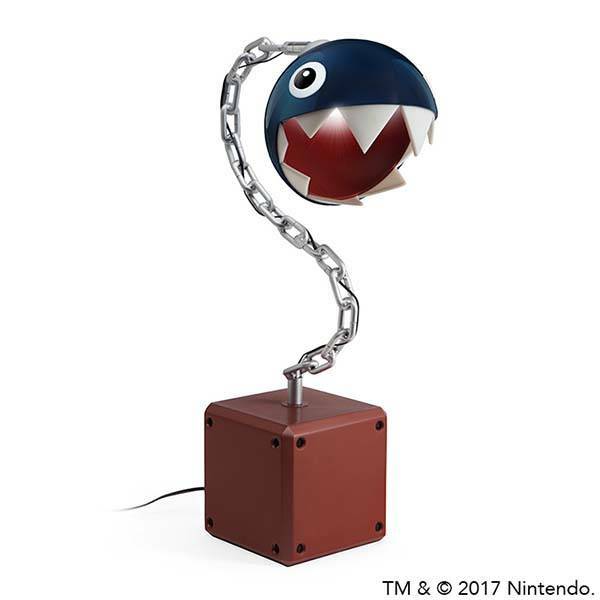 The Super Mario Chain Chomp LED lamp is priced at $49.99 USD. If you’re interested, jump to ThinkGeek for its more details.